The annual Londonderry Old Home Day celebration kicks off with Senior Night on August 15, 2018! The fun-filled evening will begin with a free barbecue followed by a concert at the Bandstand on the Town Common. Londonderry senior citizens are invited to attend a free BINGO session from 4 PM until 5 PM, followed by the barbecue from 5 PM until 6 PM at the Lion’s Hall Pavilion. The concert will take place from 6:30 PM until 8:30 PM and will feature the Windham Swing Band. It is open to everyone! In the event on inclement weather, the Barbecue and Concert will be moved to the Londonderry High School Cafeteria. 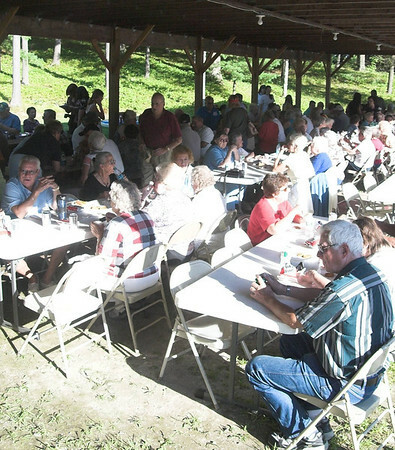 Tickets are required for the barbecue and are available at the Londonderry Senior Center.